US giant Newmont Mining Corp. (NYSE: NEM) said Wednesday it expects to cease its Indonesian gold and copper operations in June due to unresolved issues over export permits. The Indonesian government imposed an immediate 25% export tax in January for the country's copper concentrates, and it will increase to 35% on January 2015. Newmont and Freeport-McMoRan Copper & Gold Inc. (NYSE: FCX), which account for 97 % of Indonesia's copper output combined, said the rule conflicts with contracts they signed exempting them from new taxes and duties. The Colorado,US-based miner is currently discussing with the government to complete the process of securing an initial export permit. The company has obtained registered exporter status from the Ministry of Trade in April, necessary milestone prior to receiving the permit. 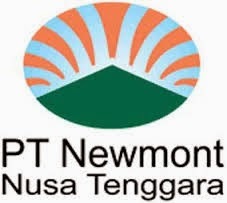 Newmont is the world's third largest gold producer, supplying roughly 30% of its Indonesian copper concentrate output to the country's only copper smelter, PT Smelting at Gresik. "This is a very unfortunate and difficult situation for all of us, as it will disrupt the lives of our 8,000 employees and contractors and impact thousands of more people in the Sumbawa Barat area who derive their incomes from our operation,” said Martiono Hadianto, president director of PT Newmont Nusa Tenggara in the statement. Newmont's Batu Hijau copper and gold mine on the island of Sumbawa Barat began its operations in 2000. The company had forcasted copper concentrate output for 2014 at 110,000-125,000 tonnes before the new export rules. The company has made it clear the ban is a pressing issue, which has already affected its ratings. Indonesia, with a population of 240 million, is the world’s premier thermal coal exporter, a nickel, bauxite and tin powerhouse and is also rich in gold and copper.